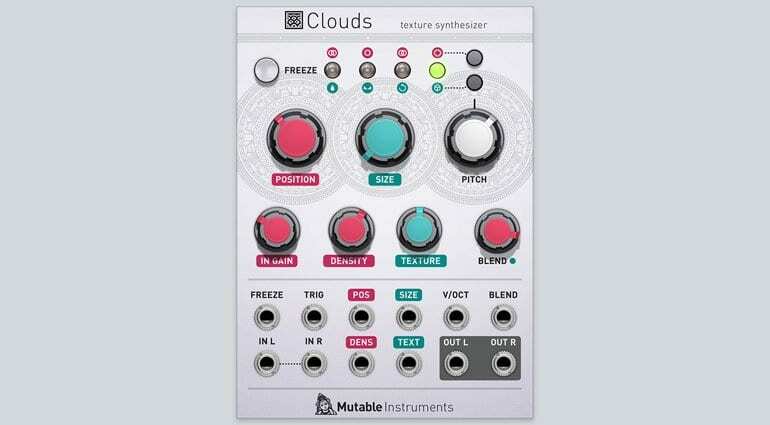 No pretence, no calling it Cloudz or Texture Synthesizer or some other way to rebrand the open source code. 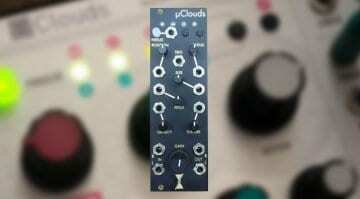 This is an official Mutable Instruments Clouds module for Softube Modular. Now, of course with the internals of Clouds being open source then anyone can build one and it’s going to sound the same. But kudos to Softube for going out of their way to get a proper endorsement like they have with other brands such as Buchla 4MS and Doepfer. 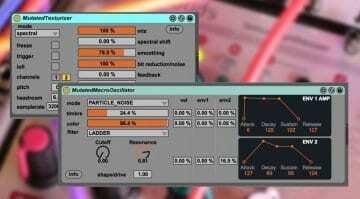 Softube has to work quite hard in light of the still-mostly-free VCV Rack. This is certainly the way to do it. 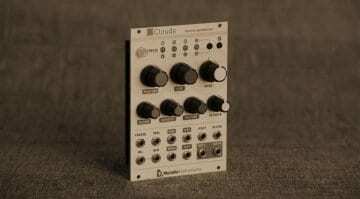 If you’re not familiar with Clouds then it’s a granular effects box that they also call a texture synthesizer. You feed audio into it and it can scrub through the grains of it, generate pitch and delay effects, reverbs, the freezing and unfreezing of audio and blend it all together to produce the most mystical of soundscapes. Yes, it is difficult to explain. It is an exact replica of the hardware module, with all the same controls, buttons and patch points. And it sounds and behaves exactly as you’d expect it to. Of course, the awesome thing about software is that you can run as many instances of Clouds as your computer can handle, for no additional cost, and there’s a bunch of presets you can play with. These things are always a bit of a niggle for hardware users such as myself. But we’ve still got plenty of smugness to keep us going. 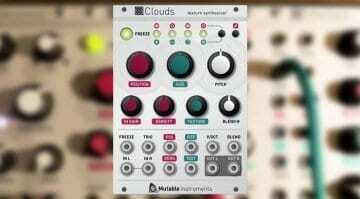 Softube has produced a brilliant introductory and tutorial video that perfectly demonstrates what Clouds can be about. This, from my point of view, is essential because it can be a strange and unfathomable module and they’ve done a really good job. 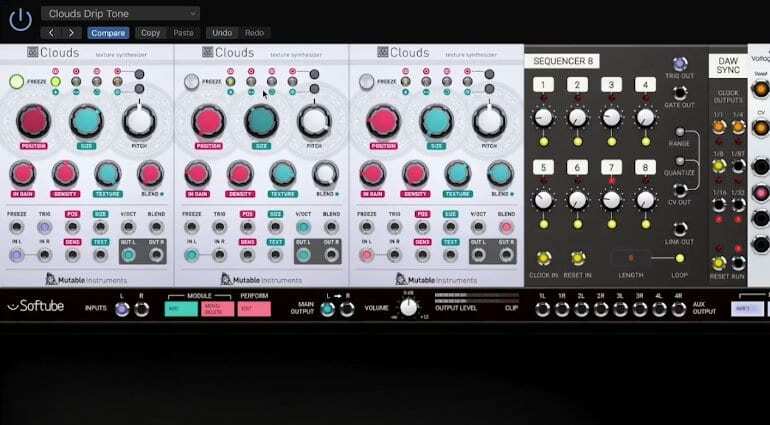 It’s available now for all users of Softube Modular for €29 (RRP €39) and there’s a free 20 day demo. That makes it cheap enough to stick two fingers up at VCV Rack and hopefully means more Mutable Instruments’ modules will be forthcoming.